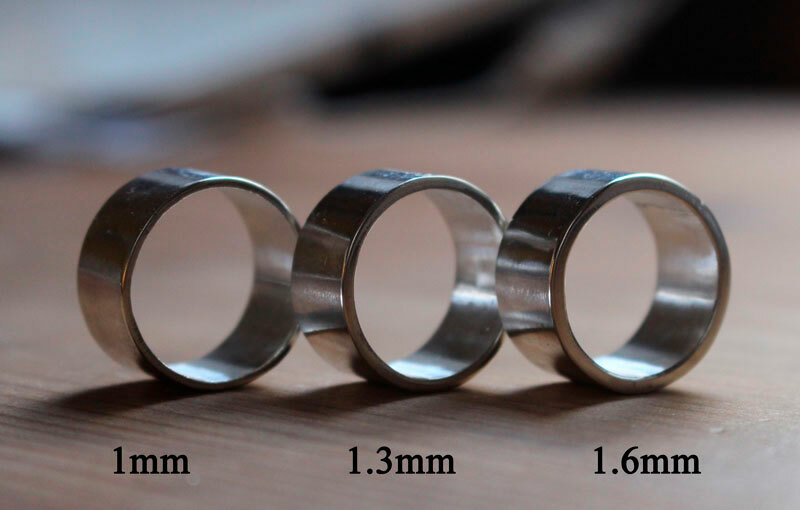 This set of engraved rings was created for the wedding of a couple who wanted to adapt our “Gentleman” model on a narrower band. We redesigned and personalized this model for an 8mm band. These rings show a vegetal spiral engraved band with an ancient and sophisticated style which will both suit men and women for an elegant style. These rings will be the ideal choice for a Victorian or a baroque style wedding. If you also want a ring that reflects your style and your wedding, do not hesitate to contact us so that we can work on your project together for the perfect personalized wedding rings.